I also run workshops where I teach organization design principles and methods to internal consultants and HR managers. I tailor my approach to the particular requirements of the client and the project. 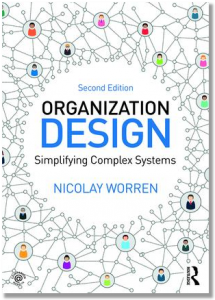 Where relevant, I use the methodology that I have developed that covers all the phases of organization design from planning to implementation (which is described in my book). It has been developed and refined over a number of years working with clients in diverse industries. If you are interested in these services, why don’t you get in touch for an informal conversation about possible collaboration.You can call me on +47 91 000 693. Alternatively, you can contact me via my Contact Form.